Get up close and personal with the monkeys of Taksakiyama! 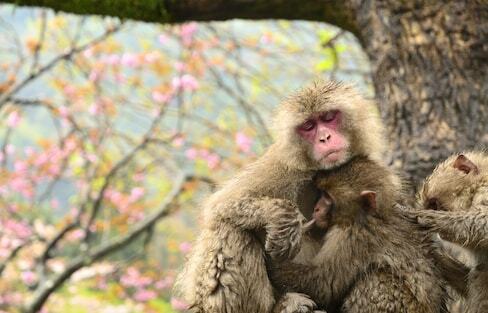 Here, you can meet wild monkeys and learn about their lives in the mountains of Oita Prefecture. A former capital city just a stone's throw from Kyoto and Osaka, Nara is known for its stunning temples, friendly deer, souvenirs and more. With so much to do, we're here to help you start planning! Rent-a-Cat Rooms at This Ryokan are Purrfect! 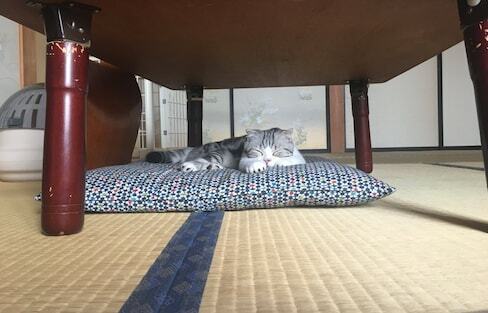 A Twitter user caused a ker-'fluff'-le with adorable photos from her lodgings in Hakone, in Kanagawa Prefecture, where you can pick a cat to accompany you during your stay. Upon first glance this building in Kochi Prefecture might seem like your standard aquarium. But this repurposed elementary school is the perfect place to study marine life! A company in Shimane Prefecture is making feline-friendly furniture that's great for both pets and owners! A Japanese artist who goes by the name of Wakuneco is helping pet owners memorialize their furry friends with lifelike felt portraits. Whether you're looking for a bowl of bright blue ramen, want to stand and scarf some quick and delicious noodles or want to watch a live tuna cutting show while you eat fresh sushi, these restaurants in Tokyo have you covered. Just off the coast of Hiroshima, Okunoshima is an island best known as a haven for over 1,000 adorable rabbits! It's also packed with history, which makes it a travel destination that shouldn't be missed! There's nothing more luxurious than a nice, long soak in a Japanese hot spring, surrounded by gorgeous views. These 10 spots are easily accessible from Tokyo, making them perfect for a day trip! If you're seeking some scares this Halloween, why not head over to Tokyo Sunshine Aquarium, where you can learn about the chilling fate of one of its ghostly inhabitants? Zao Fox Village in Miyagi Prefecture is home to 100 foxes that visitors can feed, hold and pet! 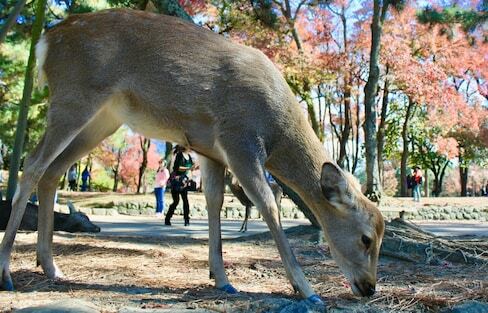 Nara is known for its population of friendly sacred deer, who freely roam between the ancient capital's temples and shrines, always on the lookout for deer crackers. Check out some of our favorite, hilarious photos of these adorable, derpy critters. A zoo in Wakayama Prefecture will be showcasing traditional Japanese Kishu Inu in hopes of increasing owners, and keeping the breed strong. A pig café is the latest in a long line of adorable animal-themed cafés to open in Tokyo. Tokyo has a plethora of uniquely-themed cafés from which to choose. But if you want to snuggle up to something soft and cuddly to get a big dose of cuteness, there's no better place to go than an animal café! Smiling Shiba sweets are the latest offering from Japanese company Felissimo, which is known for its cat-themed merchandise. From the rugged mountains of Hokkaido and verdant forests of Kyushu to spectacular festivals of Aichi and the Tokyo skyline, this video stunningly captures the beauty of Japan in under three minutes. From traditional tea ceremonies and cooking lessons to relaxing with owls and revving through the streets, these are traveler’s picks for the best things to do while you’re seeing Japan. There’s more to theme parks in Japan than just Disney Resort and Universal Studios; there’s also ninjas, go-karts and more!